You know, white isn’t the only hue in our landscape’s palette. Come back to Killington Mountain Lodge to enjoy the color and wonder of fall. We went off exploring to save you time and trouble, then jotted down the best of our adventures just for you. With each of the following routes, the idea is to take a scenic drive into town to walk around, then use the main road back when you get tired – or it gets dark. We only had cell service about 5 percent of the time – and even then it wasn’t 3G – so make sure your route is planned and you have an idea of where you want to turn before you leave the hotel. (Siri will not be there to hold your hand if you get lost.) You may also try carrying a paper map. How retro! 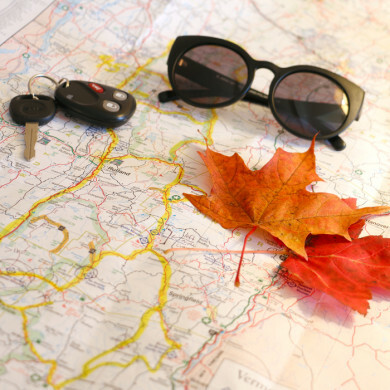 Make yourself a leaf watching, road tripping playlist before you depart. You can listen to the radio, but we lost connection a couple of times during our drive. Also, due to aforementioned cellular troubles, you won’t be able to stream any songs. Don’t hesitate to stop along the way. There are countless cool shops and restaurants dotting the journey. You never know where the day will take you. Do NOT forget your camera. This is the stuff Instagram feeds and holiday cards are made of. We mapped out three routes, outlined below. Try one or try them all. You won’t be disappointed. After the scenic drives, we’ve also taken the liberty to list some farm stops and mountain hikes you may want to take along the way. Head north on the main access road (turn right onto the road from the hotel parking lot), then turn left onto US Route 4, immediately forking right onto Scenic State Route 100 heading north. Follow this road for 10 minutes, then turn left to continue on Route 100. (Because 100 North turns into 107 East, you have to turn left to stay on 100. Signs will guide the way.) When you come to State Route 73, turn left toward Brandon. Follow Route 73 for another 15 or 20 minutes, winding west over the mountain in fun twists and turns. 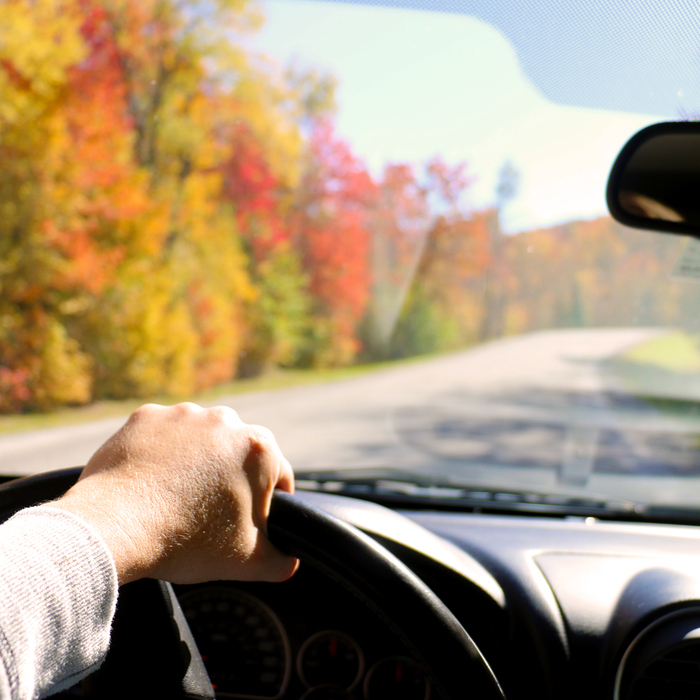 Seriously, you’ll feel like you’re in a car commercial the whole time. Once in Brandon, spend a few hours poking around. When you’ve had your fill, it’s just a 15-minute drive down Route 7 back to the hotel. On this winding loop, you’ll pass Texas Falls, our favorite waterfall. There are beautiful nature trails along the water, perfect for an impromptu hike. Take State Route 100 North for 20 to 25 minutes, then make a left onto State Route 125 heading west. Texas Falls is located about 5 minutes into the drive on 125. You can’t miss it. There’s a sign on the left-hand side coming off the mountain, but the turn into the Texas Falls Recreational Area is on the right. There are picnic tables here, if you decide to pack a lunch. Continue on 125 for another 10 minutes and you’ll pass the Robert Frost Wayside Area and Interpretive Trail. Interpretive, we assume, as in ‘the road less traveled’? Here, there are more picnic sites (to the right) and trails (to the left), which you’ll read more about in our Fall Foliage Hiking Blog. 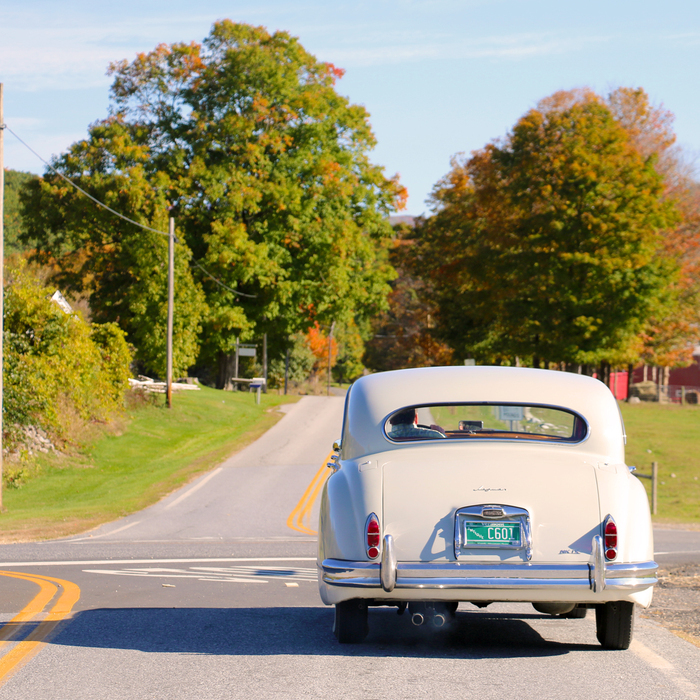 On this route, you will also pass the small town of Ripton and the Bread Loaf School of English Mountain Campus. All in all, you’ll be on 125 for 20 to 25 minutes, which takes you to East Middlebury. Right off of Route 7, you can find Middlebury Sweets, the largest candy store in Vermont. Also nearby are the Woodchuck Cidery and Otter Creek Brewing Company, which aided in the research for this story. Ready to head back? Just take Route 7 south about 25 minutes to the hotel. This drive features the most photographed waterfall in Vermont, the Moss Glenn Falls. It follows the same style loop as the first two paths, heading north from the hotel up Route 11 then turning left to head west on State Route 17. If you have the time for this one, it’s really cool. We first discovered this route on a trip with Natalia of Vermontology Guided Tours (which we highly recommend). Moss Glenn Falls is on the left-hand side of the road, about 5 miles north of the 125 junction, tucked away into the side of the mountain. Advance warning: you’ll probably be on 100 for 45 minutes or so before turning left onto 17, but shortly after you do, you’ll come to the Appalachian Gap, and it’s like angels singing ‘Hallelujah!’ … it’s THAT breathtaking. Bristol is just 15 or 20 minutes down the road at the junction of 17 and Route 116, which you can then follow back to Route 7 to head to the hotel. At the end of all three routes, just take Route 7 south until you get to Rutland. 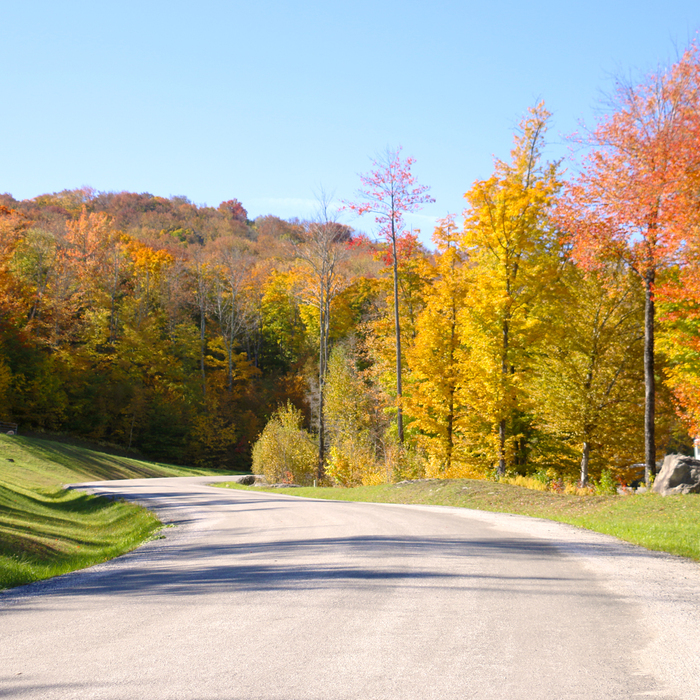 Although technically the ‘main’ road, Route 7 is still very beautiful, winding south through the valley with the Green Mountains of Vermont on your left and the Adirondack Mountains of New York on your right. Once you hit Rutland, turn left onto Route 4 to return to Killington Mountain Lodge. 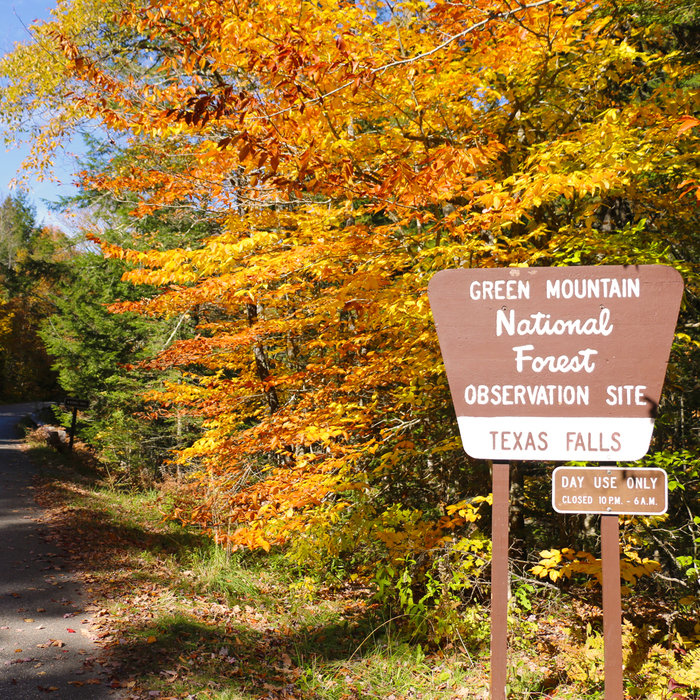 If you are visiting us shortly past the peak leaf-peeping season, you can head south a bit and still see some fall foliage. Our Southern loop starts the same as the northern routes heading out of the hotel, only turning right instead of left onto Route 4, then heading south. After 5 miles, turn right onto Route 100 South, then right again to head west on Route 11, bringing you back to Route 7. Along the way, you’ll find the Vermont Country Store in the town of Weston, and the Bromley Mountain Adventure Park, with all sorts of adventurous fun for the whole family. Once you get back to the lodge, grab a hot chocolate or a hot toddy and sit down next to the big, stone fireplace. The most photographed farm in Vermont is located in Reading. Located in Pittford, enjoy a pick-your-own pumpkin patch and farmstand. This historic working dairy farm hosts seasonal events and wagon rides. Take a ride at the ski resort for an uplifting view. Follow the bridge to a pristine pond where you can enjoy your picnic. A five-minute stroll from the boardwalk will get you to the falls. This overlook offers expansive views of fall foliage. Rent a kayak to see the falls leaves reflect on clear waters. Our favorite waterfall can be found in the Green Mountain National Forest. Frost poems are mounted throughout this 1.2-mile wooded loop.